The Portland Head Light is the oldest lighthouse in Maine. January marks the anniversary of the first lighting of the Portland Head Light in Cape Elizabeth, ME. Of 65 historical lighthouses still standing along 5,000 miles of Maine’s coastline, inlets, and islands, 57 of the state’s coastal lighthouses are still active. Portland Head Light, located at the entrance of the primary shipping channel into Portland Harbor, is the oldest lighthouse in the state and was the first U.S. lighthouse completed after America’s independence from the British. As early as 1784, while Maine was still under jurisdiction of the Commonwealth of Massachusetts, local merchants began petitioning the legislature for a lighthouse at Portland Head. At the time, Portland was the sixth-largest port in the country, the closest port to Europe, and had significant trade with the Caribbean. The deaths of two people in a 1787 shipwreck at Bangs (now Cushing) Island, near Portland Head, led to the appropriation of $750 for a lighthouse. Construction began on the lighthouse soon thereafter. The stone lighthouse was built by local masons Jonathan Bryant and John Nichols and constructed of rubblestone taken from the fields and shores of Cape Elizabeth. 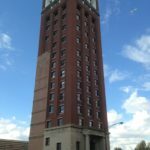 The original plan was for a 58-foot tower, but upon realizing that the light would be blocked from the south, the masons decided to make the tower 72 feet in height. 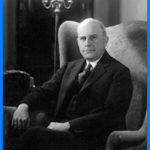 Bryant resigned over the change and Nichols finished the lighthouse. Delayed by insufficient funds, construction halted until Congress appropriated an additional $1,500 in 1790. On Aug. 6, 1789, after much debate, the First Congress of the newly formed United States of America established an agreement for a “Federal System of Lighthouses, Beacons, Buoys, and Public Piers.” President George Washington signed the act into law the following day. Within the year, the federal government took over all state-owned aids to navigation, including the construction of Portland Head Light, the first completed under the Federal Lighthouses Act. Originally illuminated using 16 whale oil lamps, the lighthouse was lit on Jan.10, 1791, and dedicated by Marquis de Lafayette. In 1842, a report by civil engineer I.W.P. 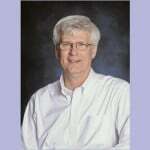 Lewis noted that the tower had poor-quality mortar and rotten woodwork, and that the house was cracked and leaky. He also recommended fewer, but better aligned lamps in the lantern room. In 1855 the tower was lined with brick, a cast iron staircase was added, and a fourth-order Fresnel lens with a kerosene lamp was installed. Augustin-Jean Fresnel was a French engineer and physicist who contributed to the theory of wave optics, and is given credit for the development of the multipart refractive lens developed for lighthouses and later used in theater lighting and automobile headlamps. Fresnel lighthouse lenses were divided into orders (sizes). A first-order lens was 8 1/2 feet tall compared to a sixth-order lens at only 17 inches. During the American Civil War, when raids on shipping in and out of Portland Harbor became commonplace, the tower was raised 20 feet so ships at sea could sight Portland Head Light as early as possible. In 1865, following the wreck of the Bohemian, the fourth-order lens in the Portland Head Light was replaced with a second-order Fresnel lens. 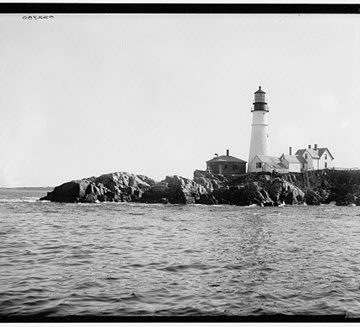 By 1883, after completion of nearby Halfway Rock Light, Portland Head Light was considered less important and the tower was shortened, but the height was subsequently restored after mariners’ complaints. Electricity came to Portland Head Light in 1929, and in 1958, the lighthouse was modernized with the installation of an aero beacon which was later updated in 1991. 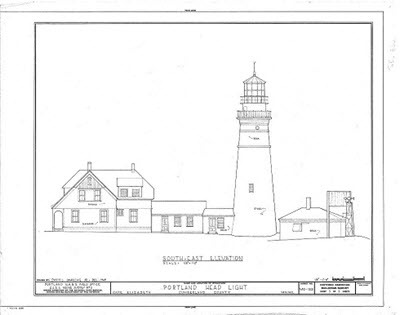 As one of the earliest lights in American history, Portland Head Light served as a model for future projects for its construction and its use of onsite and local materials to minimize construction cost. 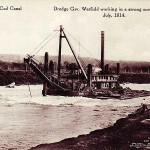 This civil engineering feat made a significant contribution to the nation’s development by facilitating shipping, and played an important role in the national economy by keeping the shipping routes safe and minimizing losses. Today, Portland Head Light stands 80 feet above ground and 101 feet above water. The light station is automated and lighthouse keepers have not been in residence since 1989. The tower, beacon, and foghorn are maintained by the U.S. Coast Guard, while the former lighthouse keepers’ house is a maritime museum within Fort Williams Park. Portland Head Light was dedicated as an ASCE National Historic Civil Engineering Landmark in 2002.